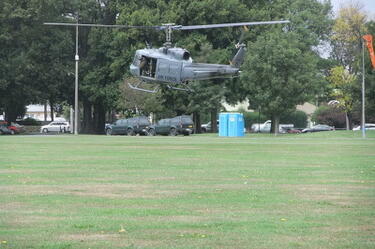 Showing 1 - 20 of 590 results. 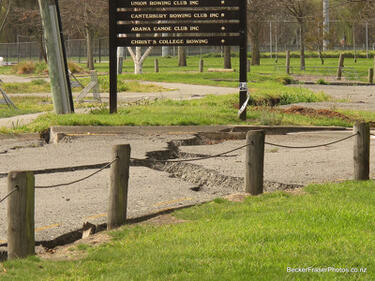 Photograph captioned by BeckerFraserPhotos, "Entrance to Avon Rowing Club, at Kerrs Reach". 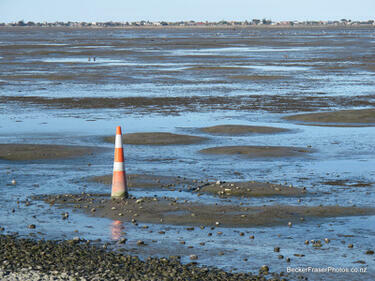 Photograph captioned by BeckerFraserPhotos, "Sand volcanoes in the Heathcote Estuary". 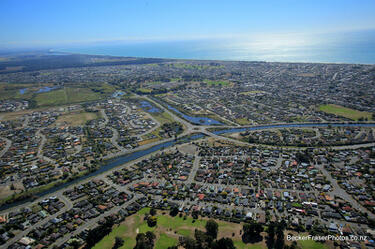 Photograph captioned by BeckerFraserPhotos, "The rebuild of Fitzgerald Avenue at the Avon Loop". 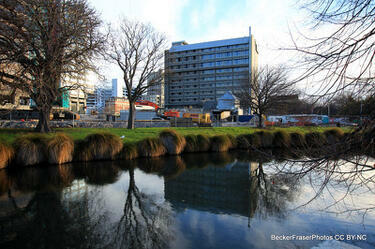 Photograph captioned by BeckerFraserPhotos, "The Copthorne Hotel reflected in the Avon River". Photograph captioned by BeckerFraserPhotos, "The Avon River from Cambridge Terrace between Durham and Montreal Streets". 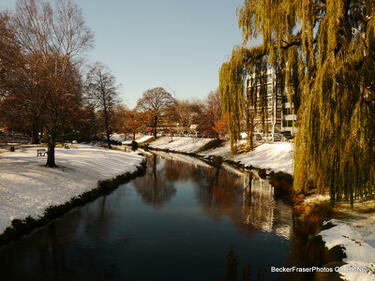 Photograph captioned by BeckerFraserPhotos, "Avon River looking east from the Montreal Street bridge". 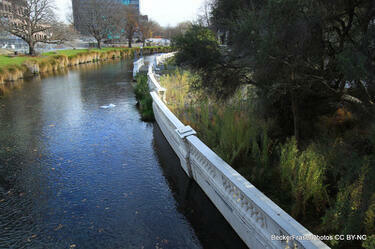 Photograph captioned by BeckerFraserPhotos, "River Avon looking west from the Manchester Street bridge. The damaged wall by the Edmonds band rotunda can be seen". 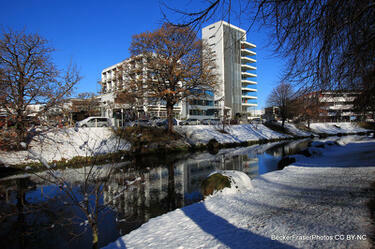 Photograph captioned by BeckerFraserPhotos, " area along Montreal Street between the Avon River and Moorhouse Avenue". 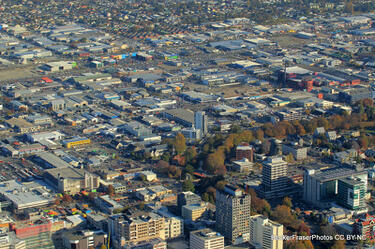 An aerial photograph looking south west over Armagh Street with Victoria Square in the bottom right, the Forsyth Barr Building to the left and the Victoria Apartments to the right. 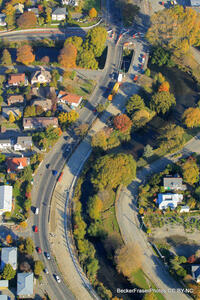 An aerial photograph of Anzac Drive in Burwood. 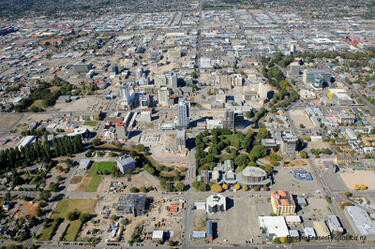 An aerial photograph looking south over the Christchurch CBD centred on Colombo Street. 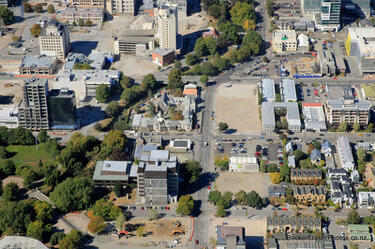 The Town Hall and beginnings of Gap Filler's Pallet Pavilion can be seen to the bottom left. 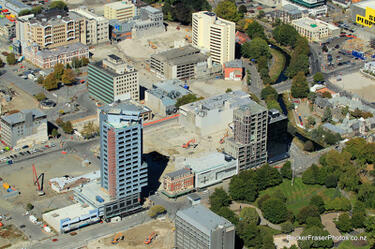 An aerial photograph of Durham Street with the Provincial Council Chambers in the centre. 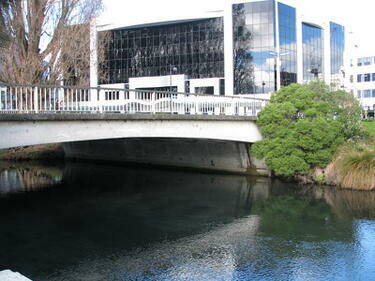 A photograph of the Manchester Street bridge between Oxford Terrace and Cambridge Terrace, over the Avon River. 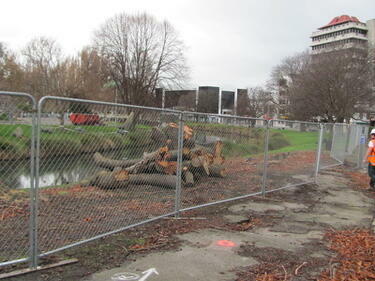 A photograph of a tree that has been cut down and sawn into pieces behind a fence on the Avon River bank beside Oxford Terrace. 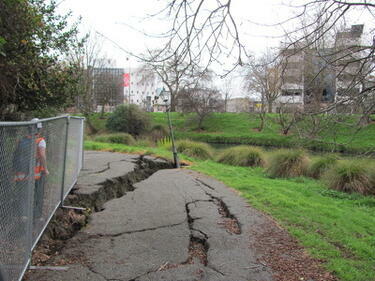 A photograph of large cracks in a footpath beside the Avon River near Oxford Terrace. 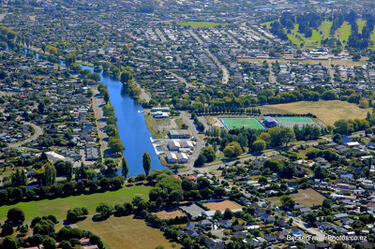 An aerial photograph of Kerrs Reach in Avondale. 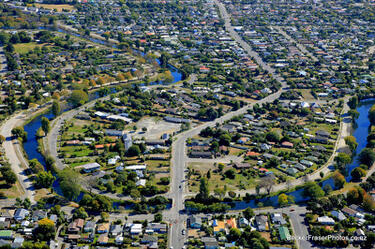 An aerial photograph of a residential area in Dallington with a loop of the Avon River. 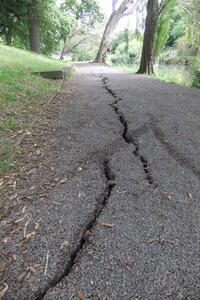 A photograph of cracks along the footpath running next to the Avon River near the Botanic Gardens. 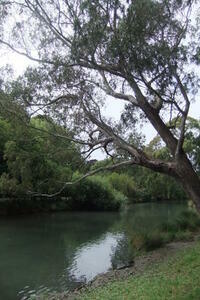 A photograph of the Avon River near the Botanic Gardens.